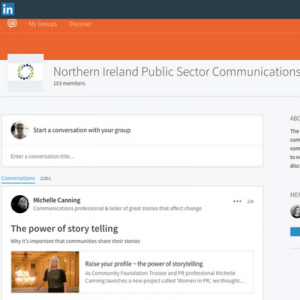 The NIPSCF, made up of communications practitioners and managers from across the Northern Ireland public sector, has worked over the last year to develop a model which will increase the professionalism, standardise and raise the profile and quality of communications across the sector. We are proud to have worked in collaboration across local authorities, Northern Ireland Executive departments and arms length organisations. This kind of partnership and cross-organisational working for the benefit of all is at the heart of what we do, as public sector communicators. For the new style Programme for Government to deliver for the people of Northern Ireland, we must work differently. The public sector must challenge itself to operate outside of the traditional departmental silos and across organisational boundaries, in partnership with the public, voluntary and private sectors. That challenge is the same for us in the communications discipline. To develop and help deliver communications strategies and campaigns at the right time to the right target audience, we must be open to new ways of working, new partnerships and new ideas. The context of our work is increasingly demanding; resources are limited and yet expectations continue to grow. Against this background, NIPSCF’s commitment to fostering a strong communications profession, of improving skills and sharing best practice is not just a good thing, it is essential. 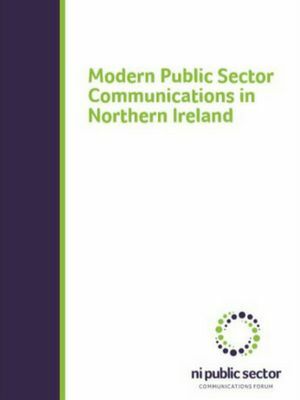 There are many examples of excellent work being undertaken by staff in communications teams across the public sector in Northern Ireland and it is important that expertise and knowledge is widely shared. There are real opportunities to work together to deliver collaborative, impactful campaigns. The NIPSCF can help to support that work across the public sector as it continues in its efforts to grow its membership, build skills and establish partnerships. Whatever resources you have at your at your disposal and whatever the size of your team, the Northern Ireland Public Sector Communications Forum can offer you advice, support and expertise.